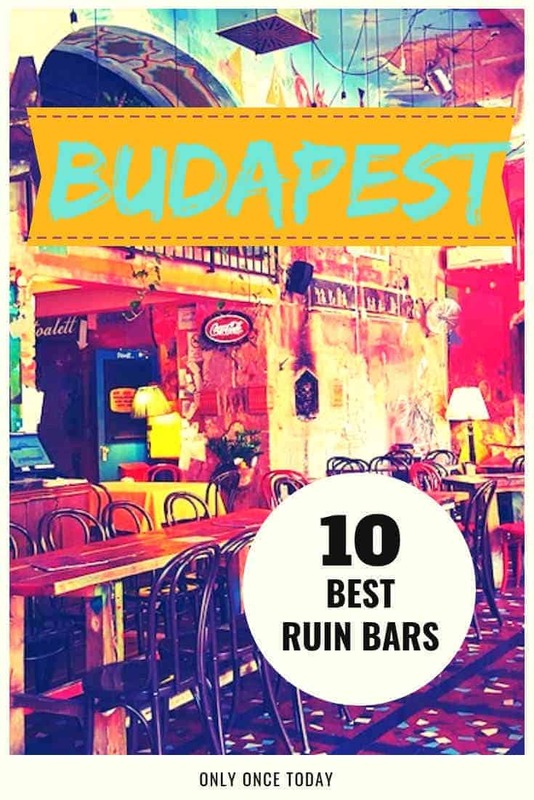 10 Best Ruin Bars in Budapest - Don't miss out on these cool bars! Ruin pubs are the next best thing and they’re taking over the capital of Hungary. Some Budapest ruin bars are simply beautiful. They are still abandoned buildings. If you look at the building structure and surroundings, you see that you’re inside a ruin. But then again, the owners of these cool and interesting bars did all they could to make the place simply beautiful. Can we call it beautiful decay? Because ruin bars are beautiful! Budapest and its ruined bars are great for planning an awesome party or you can visit them during a romantic weekend in Budapest. If you’re looking for a weekend of party, check out these party hostels in Budapest. 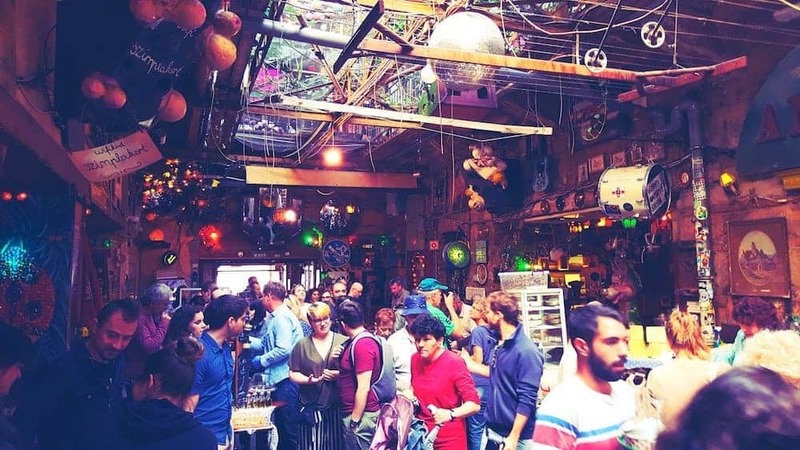 Szimpla Kert ruin bar is probably the most popular and most visited ruin pub in Budapest, maybe even the world. Everyone who visits Budapest goes to Szimpla Kert. And they’re right to do so! Szimpla Kert Is simply amazing. The mother of all ruin bars is impressively decorated and the place is quite large. So you need a little more time to discover the entire ruin bar. At night, this place converts into a huge party zone. It actually gets so crowded that you can hardly get inside. Outside, at the door, security guards frisk every guest before they enter. Inside, it’s extremely busy. During the day, Szimpla Kert is different and a little quieter. They have a farmer’s market every Sunday and you can also get brunch there. Next to the entrance, there’s a small shop where you can buy cool items. I guess I don’t have to explain much further. I know you will check this cool ruin bar out for yourself as soon as you get to Budapest. Púder Budapest is another of these beautifully decorated places in the heart of the city. Find beauty in chaos, because this ruin pub combines everything to a perfect concept. It looks cool and there’s no doubt about the fact that this place is candy for your eyes. 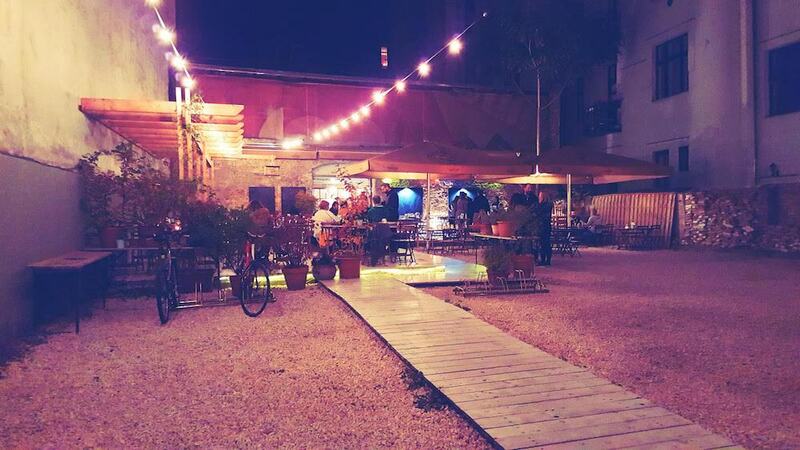 This eclectic ruin bar and restaurant has a seating area inside, as well as outside. Púder Bar and restaurant is cozy and it’s a great location for a delicious, romantic candlelit dinner with your love. Anker’t ruin bar Budapest is, along with Szimpla Kert, one of the oldest ruin bar in Budapest. 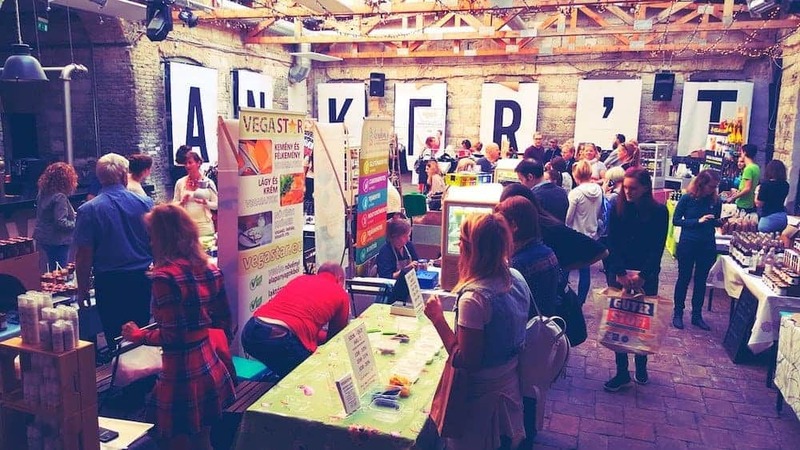 The place looks amazing and on Sunday, you can stroll around the vegan market inside. This cool bar is among the largest in the entire city and they organize parties or music almost every night of the week. During the day, Anker’t is a cool and interesting bar. At night, this place transforms into a place of music and dance. Csendes Vintage bar is one of the more cozy and romantic bars in this list. 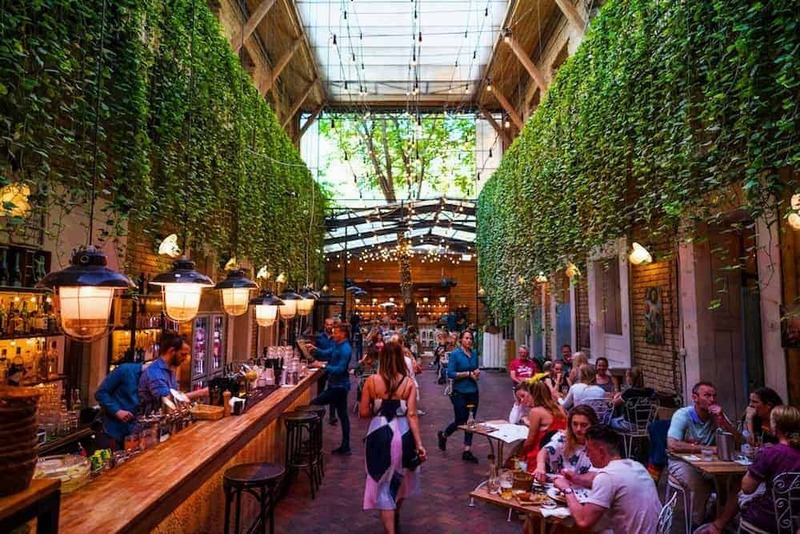 This café or Bar also boasts a wine garden in a different location. We only got to visit the Vintage bar in District V. Decoration is cool and interesting. In this bar, you can choose to sit on a chair or in a bathtub that is split in two. Red Ruin Bar Budapest is an interestingly decorated ruin pub in District V. It is a bar, as well as a restaurant and it has been transformed into a communist style pub. The walls are painted… red and a lot of communist attributes are added for extra flair. 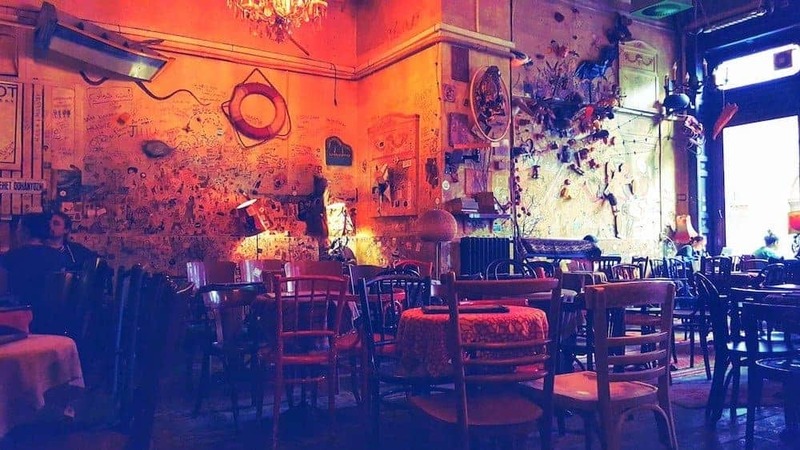 With an awesome location in the fifth district and a different theme than the other top bars in Budapest, Red Ruin is a good place to pay a visit during one of your city walks. Mazel Tov is a bar and lounge in Budapest, as well as a restaurant with a Mediterranean vibe. This open plan garden is heated during the winter months and just open during the summer months. The garden is pretty, cozy and it’s a great place to relax. Apparently, it’s also a good place for group dinners, weddings, and other special occasions. In Mazel Tov bar, you can also have lunch or dinner. Most Bistro is one of the cool bars in the Jewish Quarter or District VII in Budapest. It’s actually more of a garden bar, but the inside is also pretty. In general, it’s a cozy place to sit and have a drink. At this ruin bar, there are no actual loud parties for youngsters. Most Bistro is more a relaxed place where you can catch up with your friends over a beer or a cocktail. Furthermore, you can have lunch or dinner at this beautiful bar / bistro. Dürer Kert is an open-air beer garden and live music venue near the city park. It’s mainly a place where you can attend a concert and listen to live music. But it’s just as well a cozy place with a garden to spend a relaxed afternoon or even play some board games. This ruin pub in Budapest park is a great addition to get some drinks after visiting some of the castles in Budapest. Check their website to see if there are interesting concerts coming up during your time of visit. 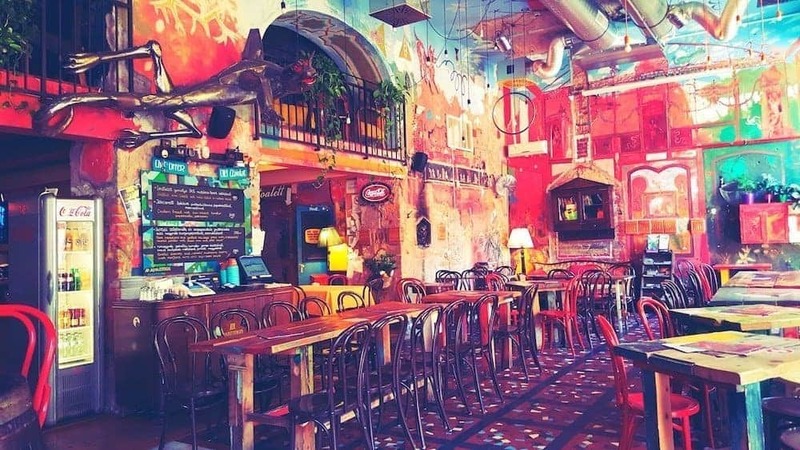 This garden ruin bar, which also serves Mexican tacos and other food, is quite colorful and playful. Ellátó Kert and Taqueria have a lot of potentials and it actually looks nice. Unfortunately, at the time of our visit, there was not a single place left to sit. We had a short look around and turned around to find a different place to go to. This place definitely qualifies as a ruin pub, with its painted walls and tables. It’s located in a busy and central part of Budapest, so you can easily include it in your evening itinerary. Lampas Budapest is one of these bars we stumbled upon coïncidentally. It’s located near the Goszdo Gallery and Weekend market. Actually, this place is more of a basement bar, but it resembles a ruin a lot. The naked and decayed walls of this basement bar qualify the bar to be in this list. We sat down for a few drinks and admit the place is cozy, even though it’s actually not. You can attend live performances down here and it’s a cool place to hang out while getting a few beers. After searching for this ruin bar for a little while, we had to conclude that it is gone. The address mentioned in other blogs and even the address mentioned in Google Search Results. None of it exists. Kuplung might have been a ruin bar before. Today it’s only a ruin. Metal fences block the way into it and there is no way of visiting the closed Kuplung Ruin Bar in Budapest. Kuplung is working on a new chapter and you can check their Facebook Page to see what’s happening. 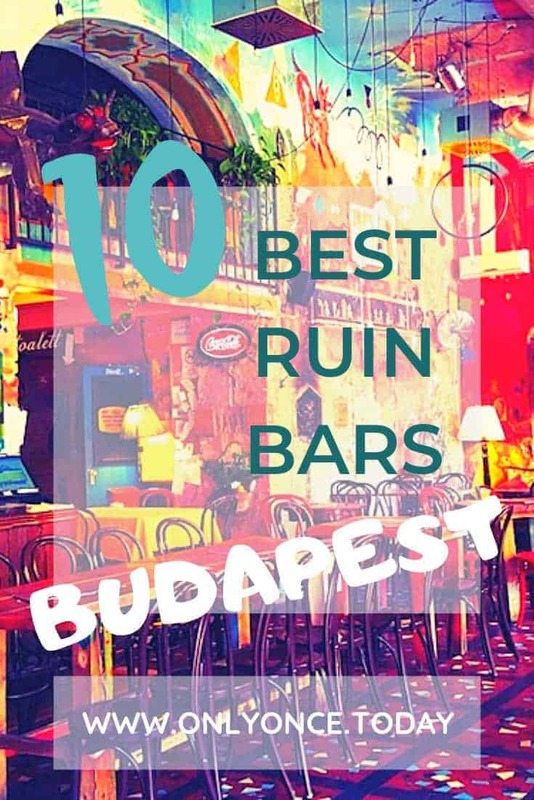 These were our favorite ruin bars in Budapest, but there are many many more. We didn’t get a chance to visit them all, but I have a feeling we visit Budapest again soon. If you stroll down the streets of Budapest, you’re very likely to encounter some beer gardens and outside bars. Ruins bars in Budapest pop up everywhere, all the time. Some of these ruins pubs are extremely popular, while others don’t get the fame they deserve. Start by checking out these bars and maybe you find a gem, hidden in an alley somewhere in the capital of Hungary. The capital of Hungary has tons of beautiful photography spots around the city. Budapest is also voted to be one of the best summer destinations in Europe. But don’t let that scare you away from a winter or spring visit to this stunning city! Ruin bars sound like a great concept. Budapest seems like a city prime for ruin bars too. A concert at Dürer Kert would be something special. Would you believe at first I thought you made a big mistake? I thought it should have been “best-run” bar. But now that I have been fully introduced to ruin bars, I must admit i love them! I had never heard of ruin bars before, but these look really quirky and like they have a great atmosphere. 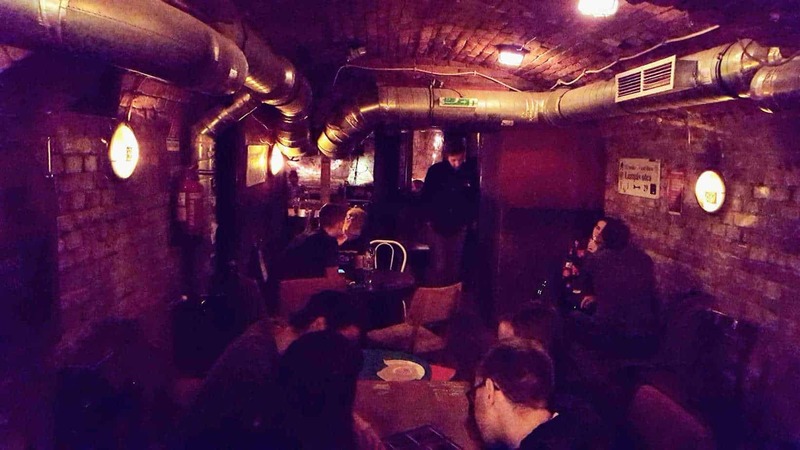 What a fabulous project – exploring all the ruin bars in Budapest! Great that some of them have garden spaces and live music. Sounds like my kind of place! I love the idea of a “ruin bar!” I’ve never heard of this concept, but it’s so neat that they are using these old abandoned places for something, and turning them into something really cool. Mazel Tov looks the most beautiful to me, but they definitely each have their own distinct flavor! I have never heard of a ruin bar, but I really like their cool concept. I’m not much of a partier, but I would sure enjoy going and admiring the eclectic artwork and design in the bars. I really enjoy the Mazel Tov Ruin Bar with the open plan garden. It would be great to hang out there with the foliage. 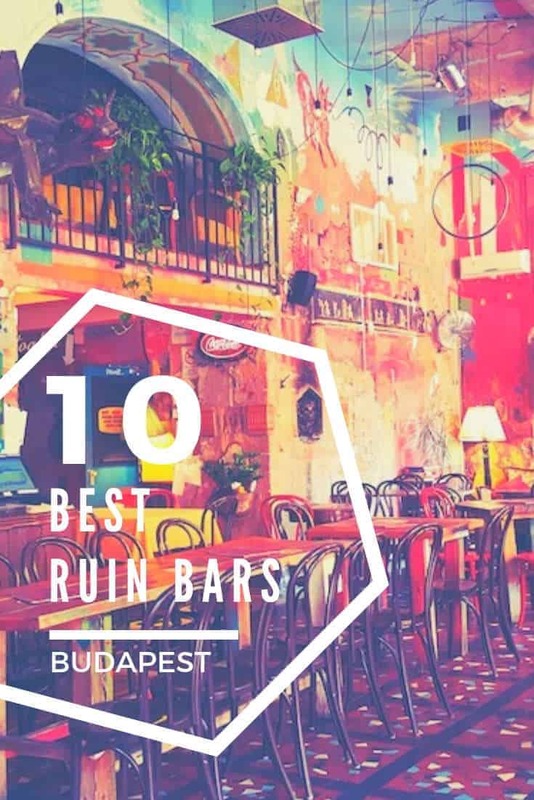 Ruin Bars are indeed trendy in Budapest but never lose sight of the fact their roots — at least those of the ruins in which real ruin bars pop up and the originals were founded — are one of tragedy. Most are in what was once known as the Grand Ghetto in Budapest, where 10’s of thousands of Jews were sent. After their extermination or removal to other camps, the buildings were abandoned. Consider that much of this area was a no-go visit zone and most buildings were empty, crumbling ruins until the very early 2000s … once artists and those with a bohemian nature started moving in, the culture was set for Ruin Bars to crop up. Lift a drink to the history of the area the next time you are in Budapest. My sister just came back from Budapest and she went to a ruins bar! I think they are unique and gorgeous in their own way. I have to share this post with her and see which one she went to. What an interesting concept, I had never heard of ruin bars before! Do you know when they started to become popular? Do they exist in other cities or countries? I would definitely want to visit the first one when it is lively at night, the basement one to hear live music, and the one where you can sit in a bathtub! How cool are these!! Red Ruin bar especially, I like how it has a different theme to the rest. Budapest seems like a really interesting city! This is a great list. I was in Budapest a couple of years back and wanted to go to a Ruin bar but didn’t now what one to go too. I wish i had this list back then. Thanks for the great share!